Unlike burning fossil fuels, solar energy is an unlimited, free, and clean fuel source that is not tied to any geo-political boundaries and is inflation resistant. While there is a carbon footprint to produce the materials, solar panels usually mitigate that in two years of use. Solar is also a great way to supplement Washington’s extensive hydro-energy, which unfortunately has large maintenance costs and adverse effects on the salmon and fish populations. Also, solar is a perfect match with hydro-energy; when the sun goes down, unlike all other sources of electricity, hydro can be immediately dialed up to compensate. Solar power is contagious. Research shows that with a ten percent increase in solar installations in a zip code, there will be a 54 percent increase in your neighbors going solar. In addition, we offer a $500 bonus for each friend or neighbor you refer that buys a solar energy system from Forecast Solar. Almost all systems are under warranty for 25 years and most of them last much longer than that. There are no moving parts to break down. They require little maintenance and can be installed quickly. 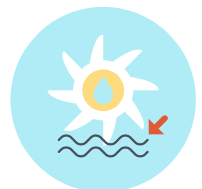 While saving water doesn’t immediately jump to mind when thinking of solar, it’s one of the best environmental benefits. Coal-fired facilities require massive amounts of water for cooling. Solar needs only the sun. Solar is an investment into the planet. Into what your children will inherit. Into what the next generation sees as the norm. Into energy independence. Into your legacy.